What Is the Difference Between Contribution Margin & Operating Margin? Operating margin is a profitability measure calculated using income statement items, while contribution margin is a component in break-even analysis. 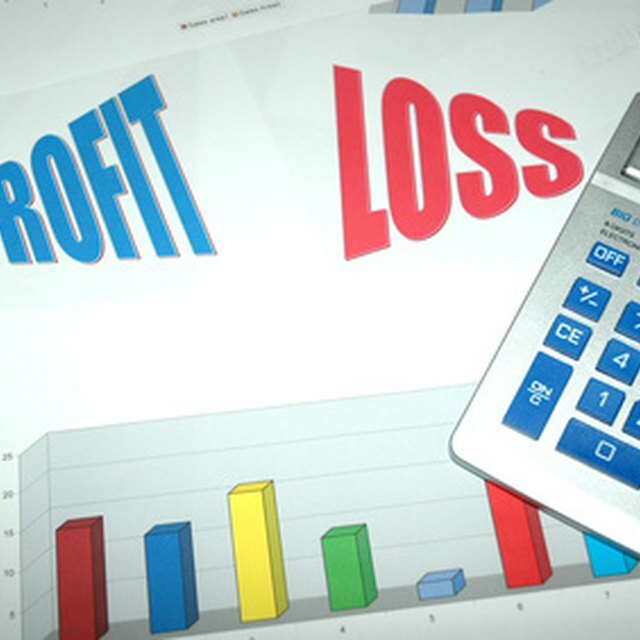 While both generally calculate income streams based on sales, operating margin falls under the umbrella of financial accounting, while contribution margin falls under the managerial accounting umbrella. Financial accounting focuses on financial statement analysis, which is relevant to shareholders, investors and creditors. Financial accounting is driven by generally accepted accounting principles, or GAAP. Managerial accounting focuses on internal reporting in an effort to improve operating efficiency. Managerial accounting is also called cost accounting and has an emphasis on tracking production costs, calculating operating leverage and break-even analysis. Managerial accounting also stresses capital budgeting, activity-based accounting and operational budgeting. Financial accounting is more useful for issues of capital structure, cost of capital and returns on investment. Because of the differences, cost accountants often work in the corporate sector, while financial accountants work in public accounting, typically in auditing, tax planning and corporate finance consulting. Operating margin is calculated by dividing operating income by net sales. It is also called earnings before interest and taxes, or EBIT. Operating income is calculated by subtracting operating expenses from gross profits. All of these items are reported on the income statement -- a financial statement that summarizes a company's financial performance over a given period, typically a fiscal quarter or year. By adding depreciation and amortization to EBIT, investors arrive at EBITDA, which is cash flow proxy favored by investors for various types of financial and valuation analyses. You likely have heard of price-to-earnings ratios, which gauge a company's value as a ratio of its market value to its earnings, market value being its common stock value. EBITDA multiples are essentially the same thing. EBITDA multiples are especially useful for valuing non-financial companies such as manufacturing companies that employ high debt levels and fixed assets. This is because EBITDA excludes the effects of capital structure (the mix of debt to equity) and depreciation methods, allowing investors to focus solely on operational performance. Contribution margin is calculated by dividing a product's unit contribution margin by its selling price per unit. Unit contribution margin is calculated by subtracting the product's variable cost per unit from its selling price per unit. Variable costs increase or decrease along with production, whereas fixed costs, such as rent expense, remain constant regardless of production amounts. Variable costs include cost of goods sold, transportation and marketing expenses. Variable costs per unit simply divides the costs by the number of units sold so it can be expressed on a per unit basis. Sales and variable expenses can be obtained from the income statement but need to be recalculated on a per unit basis. Contribution margin is used in calculating operating leverage. It excludes fixed costs, such as lease expenses for property and equipment. Companies with high contribution margins tend to be highly capital intensive. Companies with high contribution margins tend to exhibit high operating leverage. Leverage serves as multiplier, magnifying results, whether positive or negative. Simplified, a company with higher operating leverage will record a greater increase in operating income for the same increase in sales as a company with lower operating leverage. If a company has high operating leverage, it is critical to maximize operating profits.